True to its historic Scottish roots, The Brigantine Links Golf Course layout offers breathtaking bay views, native marsh and gently rolling, nearly treeless terrain. With prevailing sea breezes and carefully placed concave bunkers, this 18-hole, par 72 course provides an exciting and ever-changing experience for golfers of all skill levels. Known as Brigantine Country Club for 60+ years, in 1989 the property was purchased and the name was then changed to Brigantine Golf Links. The new owner then renovated all the fairways, finished the cart paths, and built a new clubhouse, among other things. In July of 2002, the property was sold to the City of Brigantine, who hired Meadowbrook Golf, Inc. to manage the property, and then came the current name, The Links Golf Course at Brigantine Beach. Look for new and exciting changes in the near future, for the City has plans to beautify the clubhouse and its surroundings. After a decade of renovation and upgrades, The Brigantine Links Golf Course at Brigantine Beach offers a wonderful golf experience combining modern amenities and historic grandeur. Open daily to the public year-round from dawn to dusk. Avalon Golf Club is the perfect spot at the Jersey Shore for your group to play, golf, dine and enjoy themselves for the day. Cape May National at dawn. Fog lifting. Birds singing. Waterfowl landing in the lakes. Huge bass leaping. Ospreys circling overhead then diving to capture a fish for breakfast. You know the golf course is great. Just ask the pros. There are no houses here—just the perfect slice of one of the last preserved sanctuaries…a private sanctuary for you. 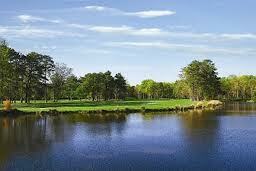 Harbor Pines Golf Club is a world-class, 4-star, daily fee golf course in southern New Jersey. The club is located just minutes south of Atlantic City’s casinos and boardwalk and is well known as everyone’s favorite place to play. In fact, Harbor Pines was rated as having the best course conditions in South Jersey and unequaled personalized service. The club also hosts world-class golf outings, weddings, parties and business meetings in the spectacular 20,000 sq. ft. clubhouse. The club opened in 1962 with an exhibition match between Sam Snead and Tony Lema. 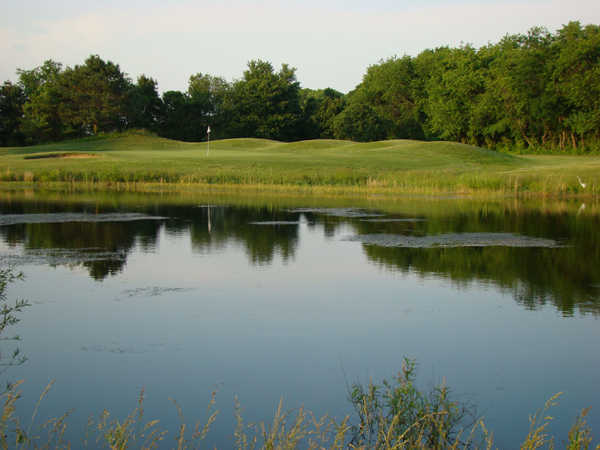 Green Tree Golf Course is a regulation 18 hole, par 72, 5600 yard course that is a challenge to the experienced as well as the novice golfer. 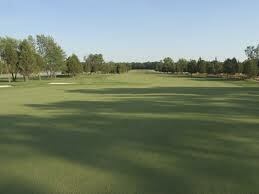 The course is known for its tight, tree lined fairways and its excellent greens. A driving range is available as well as a Golf Shop, Snack Bar, Lessons, junior clinics and practice putting/chipping green. This public course has tight fairways lined with trees and greens of Rye Grass. The longest tees have a yardage of 5709, playing to a par of 70. The golf course has three sets of teeboxes to provide an interesting game. There is also a driving range and practice green for beginners or those that would like some practice. 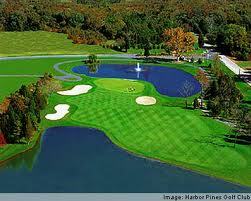 The course is accessible from many major roads such as Routes 30 and 40 as well as the Atlantic City Expressway. The first shot is a difficult par-4 dogleg right that has water, bunkers, and heavy forest to look out for. McCullough’s beautiful clubhouse offers a fully stocked professional Golf Shop and features the Library Pub & Grille. Whether it’s a refreshing beverage, quick snack, full meal, or a banquet affair, the Library Pub & Grille provides you with a comfortable place to relax and enjoy the magnificent views of the golf course. Architect Stephen Kay designed 17 holes after famed European courses. The signature 7th hole is a tribute to architect Alister Mckensie, who won an award for the design in 1914, but never had the opportunity to build it. It features a three-acre waste area and an island fairway 160 yards wide. 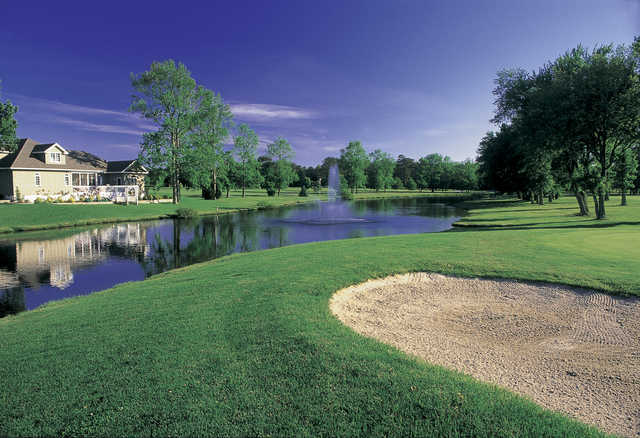 The course offers strategic elements that create risk and reward opportunities on every hole. The meticulously maintained tees, fairways, greens and ponds accentuate the high quality play which Renault crafted in its original plan. In it’s sixth year of operation, it remains a favorite course among discriminating golfers. 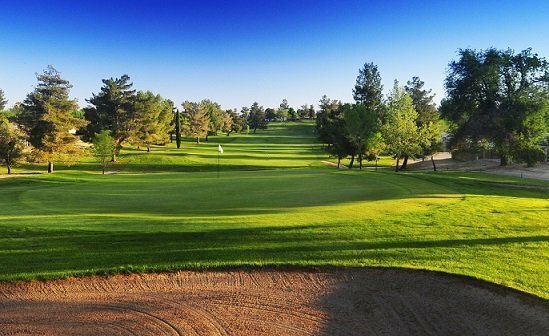 Public play is welcome as are yearly and lifetime memberships Whether golfing for personal enjoyment, social networking or a framework for the perfect business meeting, Renault Winery Resort & Golf offers the ideal location. All this golfing excitement came to be when the lead designer on our 27 holes, Dana Fry of Hurdzan/Fry, discovered a layer of sand while trees were being cleared for fairways in the winter of 1996. A more traditional course had been in the works on this site lined with evergreens and oaks. But suddenly Fry had a new idea. The result was Sand Barrens and its dramatic bunkers and undulating greens. To ensure outstanding conditions, even the rough was sodded. A premium blend of bentgrasses adorns the tees and greens and the rolling fairways. “Golf here is tough, but very fair. Most of the hazards are more visual than actual. You really don’t have to be a great golfer to get a good score here. 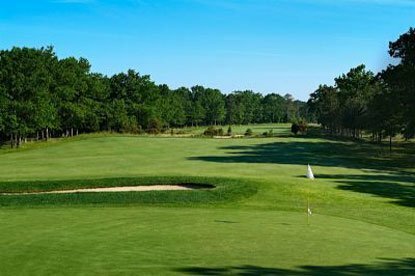 Encompassing more than 194 pristine acres of natural terrain in the pine barrens of southern New Jersey, Sea Oaks Golf Club is a spectacular design by popular mid-western golf course architect, Ray Hearn. This stately course combines Hearn’s critically acclaimed talent of integrating the natural context and inherent features of the region with a creative concept. Complementing the property is a practice facility and putting green, as well as a 28,000 square-foot, elegantly appointed clubhouse. Designed in 1927 by the architectural firm of Toomey and Flynn, the initial nine-holes of this New Jersey golf course were sculpted in the scenic pinelands on the west side of our Atlantic City resort. An additional nine holes were added and the first nine updated by architect William Gordon in 1957. Today the 18-hole Pines Course covers roughly 6,700 yards of challenging New Jersey golf with a course rating of 71.7. 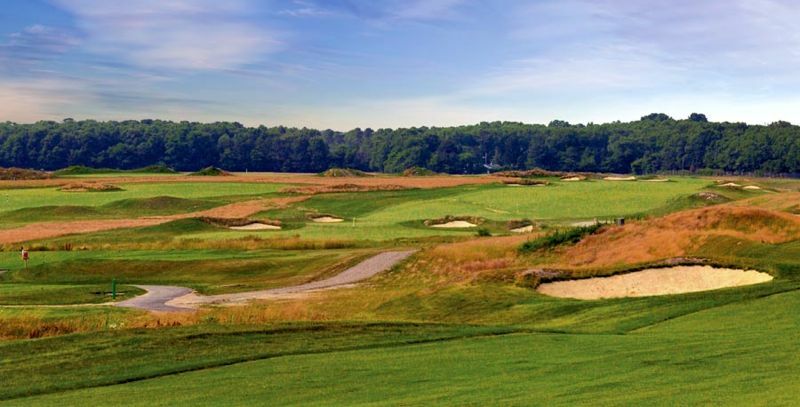 The Bay Course at our New Jersey golf resort was designed by Donald Ross in 1914. 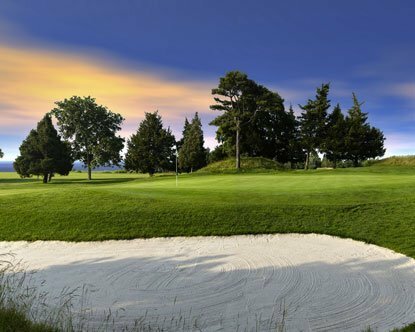 This 18-hole bayside course runs along Reed’s Bay and features 6,300 wind-swept yards, classic mounding, deep-pot and high-faced bunkers, plus small greens with subtle undulations. Host site to the 1942 PGA Championship where Sam Snead won his first major, the Bay Course is dramatically influenced by the winds blowing off of the Atlantic Ocean and will challenge even the best golfers. Deep ravines, towering grass-covered hills, and well over 100 deep traps and bunkers, make Twisted Dune’s 7,200 yards a memorable golfing experience for all. Featuring four par 5’s at over 500 yards, ten par 4’s, and and four par 3’s, Twisted Dune GC is the type of course that serious golfers love to play again and again! Yet, with it’s many tee box options, Twisted Dune is also one of the most friendly to golfers of every skill level. 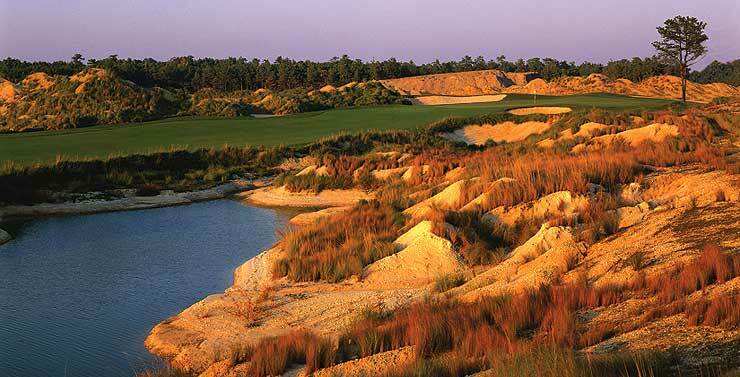 Twisted Dune offers a visually stunning golf experience that rewards accuracy and course management. Come see why Twisted Dune Golf Club is consistently rated at the top of every major golf publication’s “Best of” list. 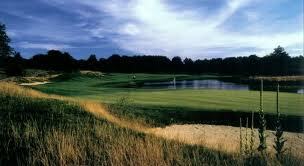 Golfers enjoy many choices in South Jersey, visit the Brigantine Links Golf Course.